Well, are you getting divorced? The most challenging part being a parent is to tell your children about the situation. The conversation can be one of the most difficult to carry out concerning your children future. You must be well prepared before initiating the conversation. It can be a conversation that can and will be remembered by your children for the rest of their life. School-age children are difficult to handle than grown adults while the conversation is growing. Children always want both of you together. With proper game-plan full of emotion and truth, you can ease the situation. Adopting certain strategies and techniques are sure to bring better results without causing unwanted troubles. Choose a time that can be best to tell your children about your divorce. Keep it secret until that moment. If they find out about your ongoing process of separation themselves, they can get distracted which may hamper their mental condition. You can inform their teachers or counsellor to handle the situation after you talk with them. But, do not tell them about the scenario if their exams are near or if they are in ill condition. That can cause serious problem in their physical as well as mental condition. Better tell your children about your problem together. This can ensure your children that you are providing genuine information of separation. You must be able to answer all the questions your children will be asking. Tell them everything about what will happen to them after you divorce. You must be able to show them that you love them so much. You must look calm and serene. You should be your casual self. If you feel anxious, they will get a hint that something is going on. Hence, they can feel anxious too. Try to look as normal as you can so that your children wouldn’t get a hint until you tell them. Blaming each other while talking with your children can cause negative effect in your children’s mental condition. Keep any extra detail up to yourself such as unhealthy relation of your spouse with outsiders or any financial consideration. Assuage the negative vibes in your children about the divorce. If both of the parents blame each other, they can feel alone and can take unnecessary stress that could eventually deteriorate their physical as well as mental condition. If you lie about the condition, your children won’t trust you thereafter. By concentrating on hiding your mistake and making up your own story to tell your children, the problem might be negotiated in the short term but you can be in problem later on. They would eventually find out about your divorce. So, you should better tell them the truth instead of some mixed story. It can be the best option for you to show your trust in your children. Your children will eventually accept your honesty if you come up with truth. Do not present yourself being too emotional while telling your children. Your emotional attitude can mentally affect your children as they can become too emotional. If you are thinking of weeping while telling your story about divorce, that certainly wouldn’t help. It would rather make the condition worse. Present it in a normal way. The more you behave normally, the more you can ease the situation. Speak in a plain and simple way so that your children can fully understand your talk. Start a talk with a short sentence. Your way of talking seriously affects the mentality of your child. Use very soft words which can make your children feel better. Initiate with some loving words such as “Mommy and Daddy both love you honey”. Do not go with detail about the cause of the divorce. Then simply explain about with whom they will be moving such as “Mommy is going to buy you a new apartment honey”. Do not blame your child for your divorce. 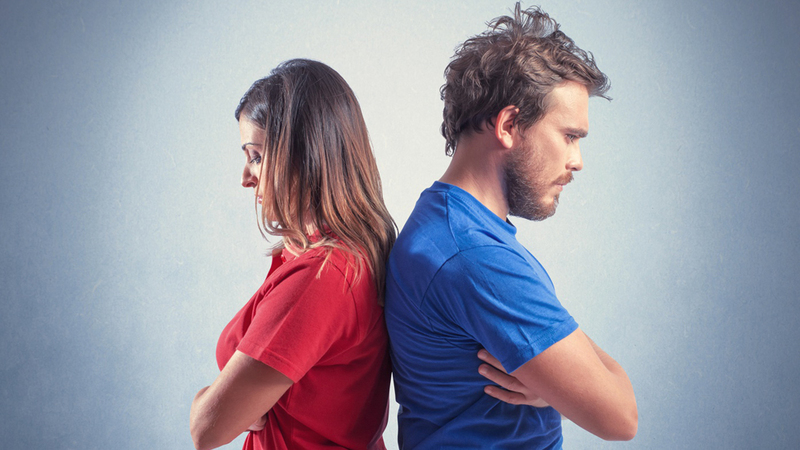 Children may blame themselves for the breakup between you and your spouse. You must ensure your child that they have nothing to do with your divorce. Tell them that divorce is an adult decision. You must ensure your children that they are not the root cause behind your separation. The reality that you are going to tell the children do not need to match. Even your children has something to do with your divorce, do not tell them that it’s their fault. You can deviate from the reality to show them that it’s not their fault.